Old Burial Hill in Plymouth and the Commonwealth Shoe and Leather Co. in Whitman have made it. So has Stetson Hall in Randolph. Some are hoping that All Souls Church in Braintree, the Myles Standish Burying Ground in Duxbury, Highland Cemetery in Norwood, the Eustis Estate in Milton, and others will make it as well. “It” is the National Register of Historic Places, the federal government’s official list of places in the United States worthy of preservation. To be on the list means, in some cases, better access to tax dollars. Others hope the designation will help draw tourists and their money. In Norwood, officials are hoping that Highland Cemetery receives the designation and that more grant money would be available to help with restoration of its Chapel of St. Gabriel the Archangel. The chapel was built in 1904 for the Days, one of Norwood’s earliest families, by architect Ralph Adams Cram and was left to the town for use free of charge by residents for funerals of all faiths. Frank Allen, a former governor of Massachusetts, is among those buried in the cemetery. The roof of the chapel has been replaced, but its brickwork needs pointing to restore its windows, and a bell tower is also in need of repairs, said Patricia Fanning of the Norwood Historical Society. Other properties in the south suburbs under consideration for the National Register include the Eustis Estate in Milton, First Parish Church in Plymouth, First Baptist Church in Scituate, All Souls Church in Braintree, Emerson Shoe Lofts in Rockland, and the Centre and Montello streets historic district in Brockton, said Betsy Friedberg, National Register director for the state. Judith Howard, chairwoman of the Norwood Historical Commission, said being on the register is important because it adds prestige not only to buildings and property, but also to the communities in which they are located. She said it is also important for the historical preservation of not just buildings but also documents, books, and even certain very old or remarkable trees. But some Norwood officials were wary when told by state officials, who must approve applications before they are sent on to the National Park Service, that they would have to apply to designate the entire Highland Cemetery, not just its chapel. The town officials said they were concerned about restrictions that might affect cemetery operations. But Patrick Andrus, a historian with the National Register whose duties include reviewing applications, said it is a common misconception that places on the register cannot be changed without permission. Generally, he said, any historic district restrictions, such as requiring a house to be a particular color, are instituted and enforced by local historical commissions. He said an owner of property on the National Register could even raze a building without approval. Andrus said the national designation provides a limited degree of protection from federal action. For example, if widening a road using federal money would disturb a registered property, it would probably undergo another level of review to ensure that the least harm possible is done to the property, he said. Andrus said Massachusetts, one of the states whose applications he reviews, ranks in the top three states, along with New York and Ohio, as having the most listings. “Massachusetts has one of the more active programs,” he said, adding that there are more than 4,000 places in the state on the list representing thousands more actual buildings, since some listings are for historic districts. 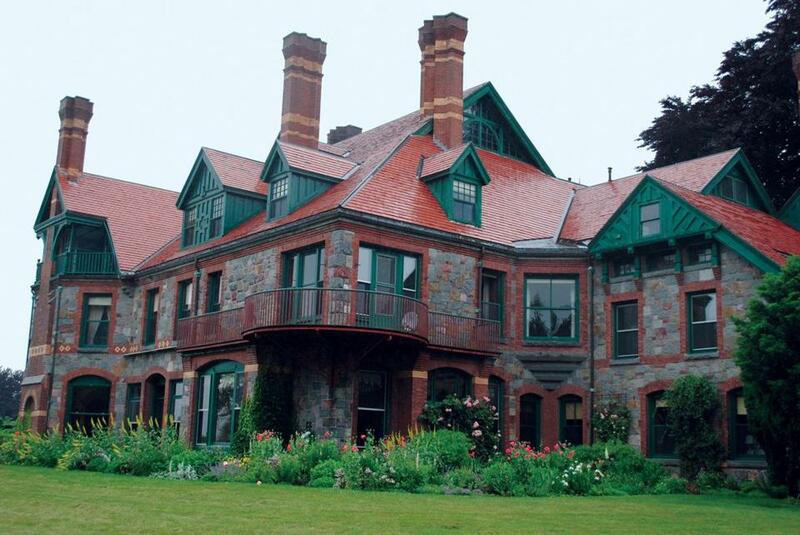 Nationwide, there are more than 80,000 properties listed, representing 1.4 million buildings, sites, districts, and objects, according to the website of the National Park Service, which oversees the program authorized by the National Historic Preservation Act of 1966. Nominations to the National Register usually originate with a local citizens group or historical commission or even an individual, Andrus said. Completed forms are submitted to a state historical preservation office or commission. If approved there, the state forwards them to the federal level. Each nominee must meet various criteria, including that it be associated with events, locations, or people important to the country’s past, generally more than 50 years ago. The nominee may be architecturally or archeologically significant and may yield information important in history. Andrus said a 20 percent tax credit is available as an incentive to those looking to renovate a building of historical significance that will be used by the public. The work must be approved, which may require a review fee, and the building must be held for five years, or the government could reclaim some of the tax credit money. While there is no fee to be on the National Register, there may be expenses associated with work and research needed for the application process. Terry Vose, chairman of the Duxbury Historical Commission, says the process of getting on the list can take more than a year, but it is worth the effort. The designation helps to preserve pieces of history that cannot be retrieved once they are lost, and it helps communities in marketing themselves, he said. 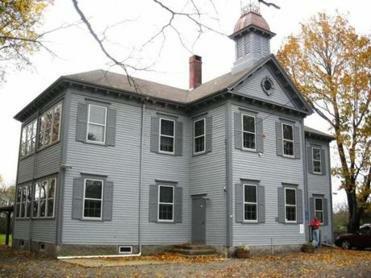 Among the Duxbury places on the National Register are the John and Priscilla Alden family sites; the King Caesar House; First Parish Church; the houses of Captains Daniel, Gamaliel, and Gershom Bradford; the Tarklin School, used as a community center; the Wright Building; and the Old Shipbuilder’s Historic District. Supporters are also looking to add property in Duxbury once owned by Myles Standish, who sailed to New England with the pilgrims on the Mayflower and served as military leader for the Plymouth colony. The Bug Lighthouse, off Duxbury and Plymouth, is also in the early stages of nomination. “We live in a town that is special; you have to keep it special,” Vose said. She said people associated with the camp, which was founded in 1919 by Helen Storrow and hosts groups from around the world for the study and performance of various forms of traditional dance, revere tradition. “The fact that we’re on the registry validates that on a whole other level,” she said. The Rev. Steven Wilson, pastor of All Souls Church in Braintree, said an exploration by the congregation of the church’s history prompted him and others to consider applying to the registry about four years ago, both for the added honor and the possibility of grant money. He said the church received town grants under the Community Preservation Act, which were helpful in paying for new gutters, though they came with restrictions on what changes can be made to its façade. The church’s application to the National Register is currently before the state’s historical commission, and he is hopeful it will be successful. “It looks like it’s plucked from the English countryside,” he said of the building, designed by architect Edwin J. Lewis of Boston. Doug Ulwick, president of the Historical Society of Old Abington Inc., said he thinks the National Register designation helped with securing money for the work being done at Island Grove Park in Abington, which he is helping to oversee. Efforts continue to restore the stone and bronze 1912 Civil War Memorial Arch there. “This is a very big part of a lot of communities’ economies,” he said. The history associated with Quincy, home to presidents John and John Quincy Adams, is celebrated in the Quincy Chamber of Commerce’s Discover Quincy Days this year, including on Sept. 6 and Oct. 4. With the purchase of a wristband, visitors may visit up to five historic sites, according to the chamber’s website. Andrus said some local sites get featured in itineraries provided on the National Park Service website. Many of the itineraries are organized geographically or thematically. Among the sites listed for the suggested itinerary for the maritime history of Massachusetts , for example, are the Old Shipbuilder’s Historic District and the Bradford family houses in Duxbury, the Captain John Wilson House and Bates Ship Chandlery in Cohasset, the Point Allerton Lifesaving Station in Hull, and lighthouses in Cohasset, Scituate, Plymouth, Mattapoisett, and Marion.